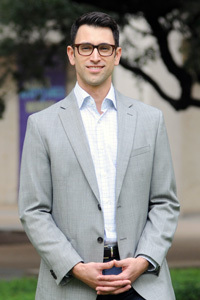 Prof. Geruso's research focuses on developing country health and the regulation of US health insurance markets. In his work on Medicare, he has used publicly available and large-scale administrative datasets to investigate upcoding by physicians and imperfect competition among private Medicare Advantage insurers. His research on sanitation provides the first evidence that that open defecation, practiced by a billion people worldwide, generates large infant mortality externalities. His work has been featured in the New York Times, NPR, and the Economist magazine. His research has been funded by the National Institutes for Health and the Robert Wood Johnson Foundation. This course provides real-world application of the economic theory concepts with which students are already familiar. You will learn how to evaluate issues in health and healthcare through the lens of economics. You will acquire the basic tools needed to analyze current health care policy debates. Topics include cost-benefit analysis, patients’ demand for health services, physician payment incentives, the functioning of private health insurance markets, public insurance programs, and the justification for government regulation of the US healthcare system. Current issues and policy applications will be discussed throughout the course. The class will be reasonably difficult. You will be asked not just to solve numerical and graphical problems, but also to determine what economic models and graphical frameworks apply to the problem at hand. Prerequisites: Intermediate Microeconomics (420K) is an essential prerequisite for this course.